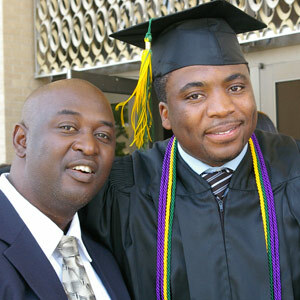 In the 125 plus years of Belhaven College’s existence, students and faculty have donned caps and gowns and experienced the traditions that make a Belhaven College commencement a special time for students and their families. Saturday, May 9th was no different: the somber but thrilling “Piping of the Colors” by bagpiper and student James Wakeland, the flowing processional of students and faculty, and the singing of the Belhaven College Hymn and Alma Mater combined to create an atmosphere of great expectation in what God will do, even in the difficult times these graduates face. 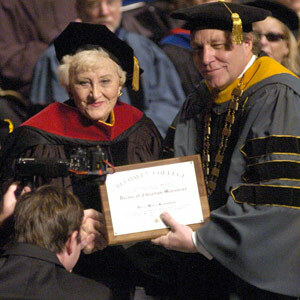 Dr. Doris Brougham, missionary, educator and multimedia producer, delivered the commencement address “Making a Difference” to the class of 2009. She also received the honorary degree Doctor of Christian Ministries, conferred by Dr. Roger Parrott. Dr. Brougham clearly communicated that God has a plan for each graduate’s life, and as her own testimony shows, the plan is often different than first imagined. She shared her experiences in civil war China and with the tribal peoples of Taiwan, both of which God used to strengthen her trust in His faithful plan. She told of the humble radio program that she started to spread the gospel to unreached territories. She spoke of God blessing that radio program into an international Christian broadcasting company that has reached hundreds of thousands of Chinese speaking people. Above all, Dr. Brougham spoke of a life of no regrets—a life that has been surrendered to God and a life lived for God. 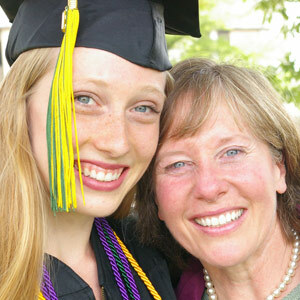 She challenged the graduating class of 2009 to “start on the right path today” and keep on the road that God has planned for them. Dr. Dolphus Weary, Director of Development for Mission Mississippi, gave the benediction, and hundreds of Belhaven graduates were released into the world with high hopes—hopes that are not set on the stock market or the end of a recession—but hopes set on the good plan of their Creator and Redeemer.